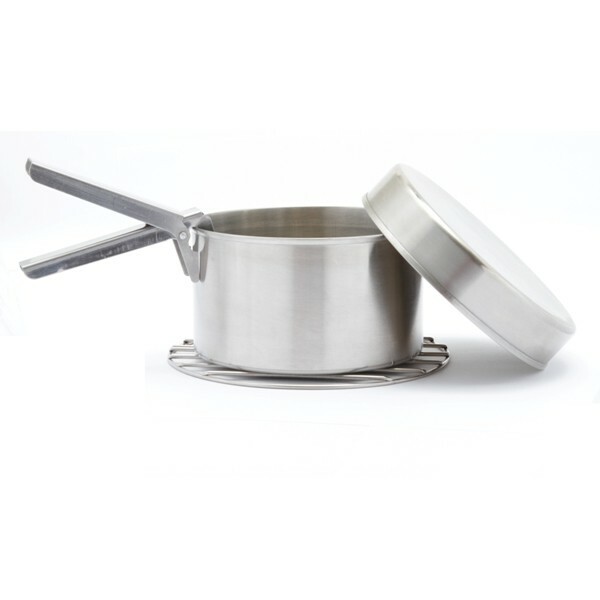 This Stainless Steel Cook Set includes 0.85 ltr pot, Lid/Pan, Grill Pieces & Gripper handle. 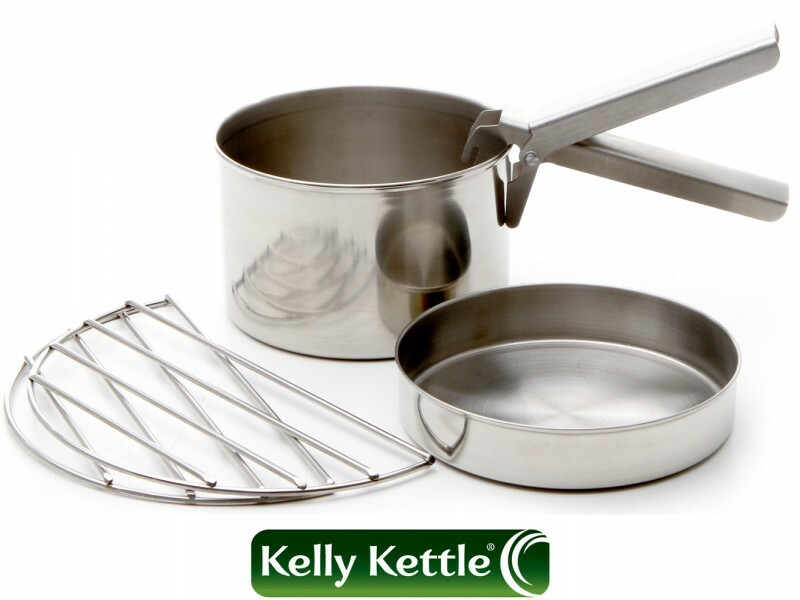 These enable our Kettle to be turned into a portable cooker eliminating the need to carry any fuel on your trips. 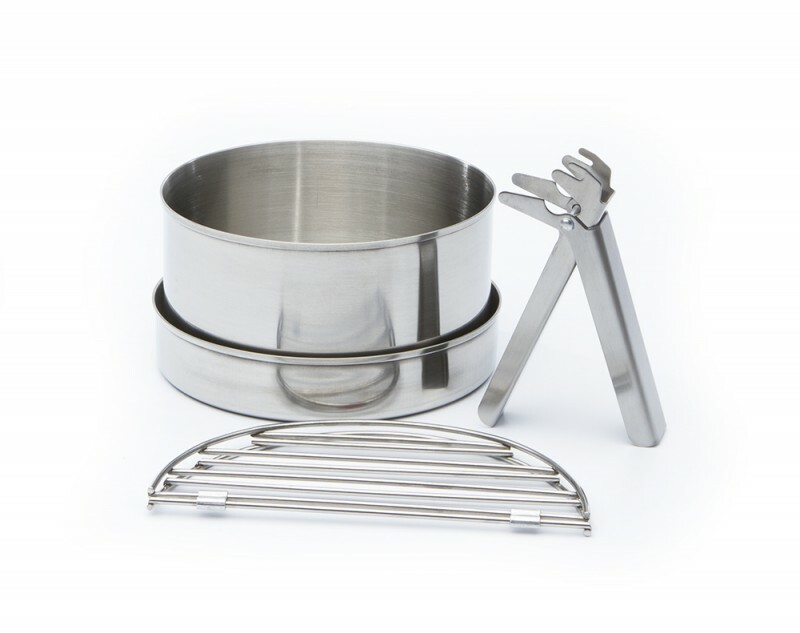 Simply place the grill pieces onto the fire-base and cook using the coals or, pair up with our HOBO STOVE accessory (not included) for easy cooking. Cost-Free, Carbon Neutral, Eco-Friendly cooking! The set fits neatly inside the kettle base for transport. 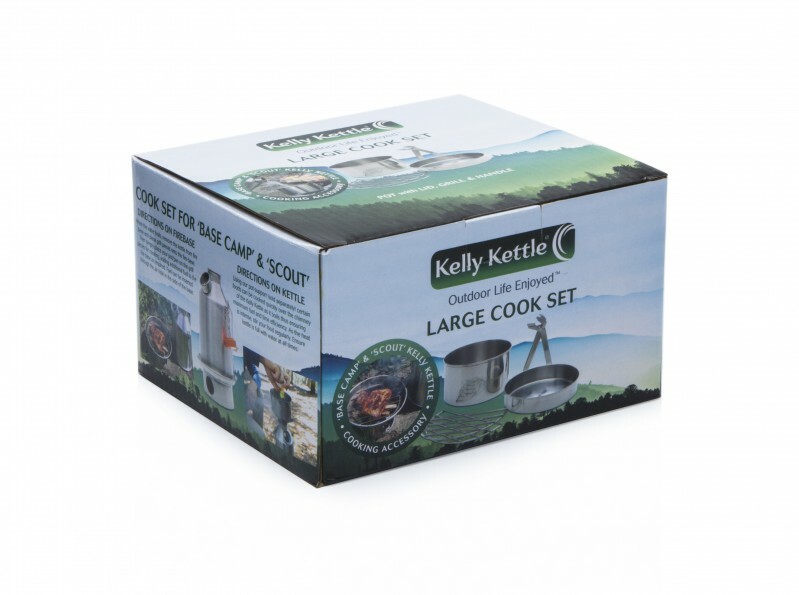 The Stainless Steel Cook Set enables our 'Base Camp' or 'Scout' Kettle to be turned into a portable cooker eliminating the need to carry any fuel on your trips. 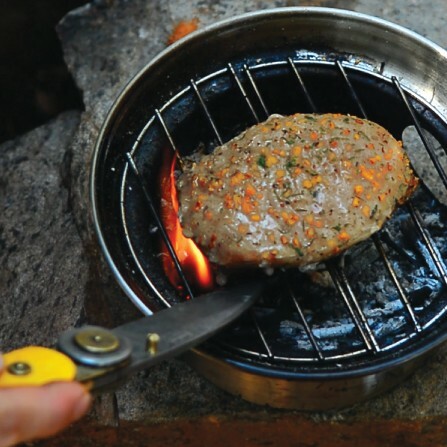 Cost-Enjoy cost free, Carbon-neutral cooking outdoors using whatever natural fuels are available. Gradually building up accessories for my old base camp kettle. 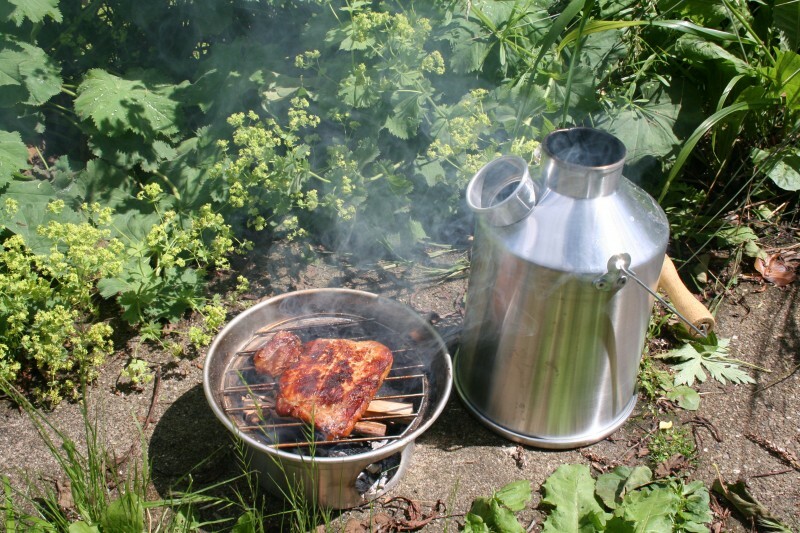 These are brilliant and with recently bought hobo stove have made the original kettle far more versatile. Looking next at plates and mugs to complete the set.